Black Burn Lodge is a newly constructed eco-friendly dwelling with 3 en-suite letting rooms and guest lounge with spectacular views of the Liddel Water and the rural landscape of the Scottish Borders. Twenty Seven B&B is a friendly business nestling in the small village of Kielder, providing B&B accommodations all year round. 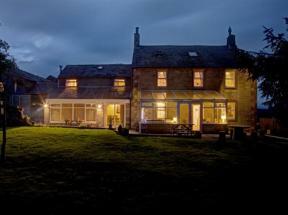 We are ideally located for visiting Kielder Village, Kielder Forest or Kielder Water.